At last night’s Australian Web Awards, Clever Starfish took out the WA award for Best E-commerce site for our awesome website. We couldn’t be prouder, knowing how extremely thorough they were, right from day one. From choosing the wrong web designers for our first site, we knew where we’d gone wrong and knew exactly what we needed going forward and Clever Starfish quickly showed how competent they were, enough to hand over our baby into their very capable hands. 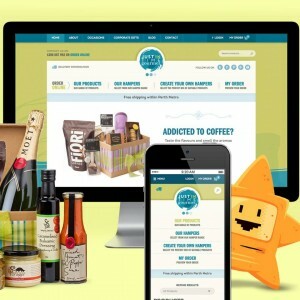 We needed an e-commerce website that was different to any others we’d come across, we needed customers to be able to order multiple hampers to multiple addresses in the one transaction, able to restrict the amounts of alcohol for each gift hamper to meet WA’s liquor licencing laws and the feature that set us apart from any of our competitors, a user friendly ‘Create Your Own’ hamper section. Clever Starfish really took the time to learn about our business and what we were hoping to create. They continually put our minds at ease, letting us know that anything was possible. We needed it to be bright and inviting, fun to use and above all, it needed to work. Clever Starfish certainly delivered a website that we absolutely love, and we wish them the best of luck at the upcoming National Awards in Sydney 1st November. Thanks to the entire Clever Starfish team!! Of course Clever Starfish won the National Award for Best E-commerce at the Australian Web Awards held in Sydney. We are so very proud of what they have created and certainly think they deserve all the accolades. We can’t wait to celebrate with their incredible team! !